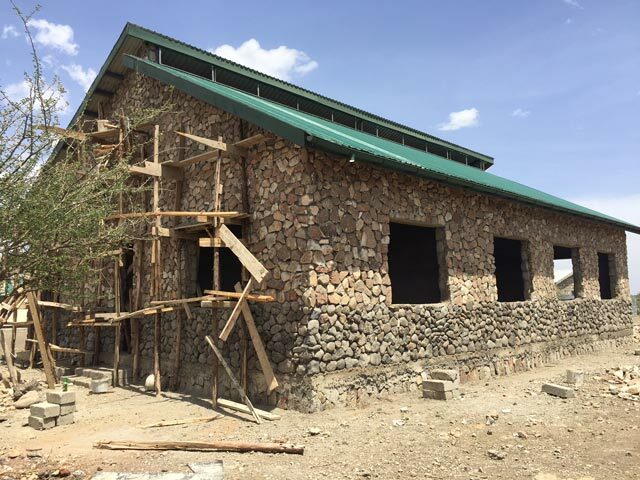 The completed Kaman Foundation Laboratory at Olduvai Gorge, Tanzania. Photo credit: Nicholas Toth. 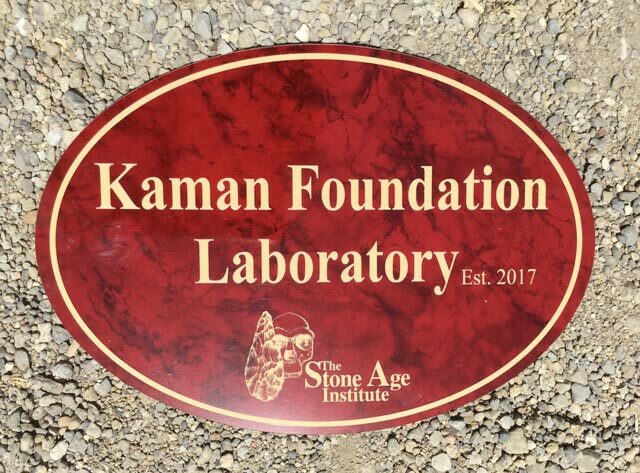 The Stone Age Institute, with a generous grant from the Kaman Foundation, is happy to announce that construction of the new geoarchaeological research laboratory has been completed at Olduvai Gorge, “The Cradle of Humankind,” in northern Tanzania. 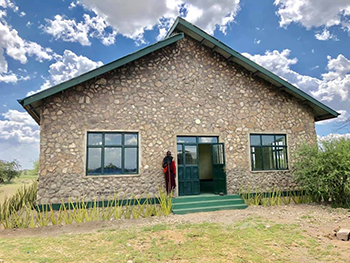 This new facility, located in the Mary Leakey Camp at the junction of the Olduvai Main Gorge and Side Gorge, is over 2,000 sq. ft. in area and has energy-efficient solar paneling on the roof and a water collection and storage system for the rainy season. This laboratory will be used for preparing and analyzing prehistoric materials recovered through excavations, and includes a room for cleaning and preparing fossils and stone tools. The facility can also be used by Indiana University’s Geology and Paleoanthropology Field School that is held at Olduvai every summer. 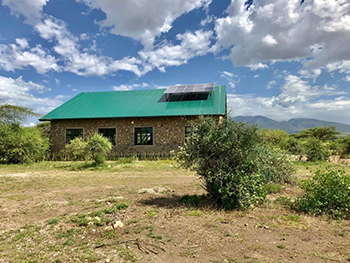 The roughed-out design of the building was carried out by co-leaders of the Olduvai Gorge Coring Project, Jackson Njau, Kathy Schick, Ian Stanistreet, and Nick Toth. 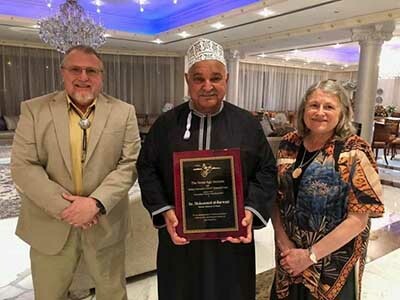 The final design and construction was then supervised by engineer Joshua Mwankunda of the Ngorongoro Conservation Area Authority (NCAA), which oversees research at Olduvai, which is a UNESCO World Heritage Site. The basal stonework is comprised of lava cobbles, the principal raw material used for stone tools in Bed I (2.0-1.8 million years ago). The upper stonework is made up of quartzite, the principal material used for stone tools in the later Olduvai beds (1.8 million years to recent times). “We are investing in the scientific infrastructure of Tanzania and future research at Olduvai Gorge” said Toth. “This laboratory will be used by future generations of prehistorians who focus on human origins research”.